All manuscripts should be submitted in word file format to the Submission System. If you have any problems during submission, please contact: mcb@techscience.com. Accepted abstracts (with registration paid) will be published in the conference proceedings by Molecular & Cellular Biomechanics (ISSN: 1556-5297 (printed)1556-5300 (online)). 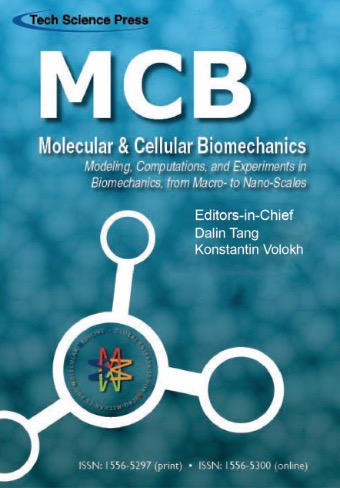 All accepted full papers (with registration paid) will be published in a special issue (Yuan-Cheng Fung 100th Birthday Special Issue) by Molecular & Cellular Biomechanics (ISSN: 1556-5297 (printed)1556-5300 (online)) and will be eligible for Yuan-Cheng Fung’s Best Paper Award. Deadlines for the special issue paper submission are February 28, 2019, May 15, 2019, and August 1, 2019 (matching MCB’s publication schedule).